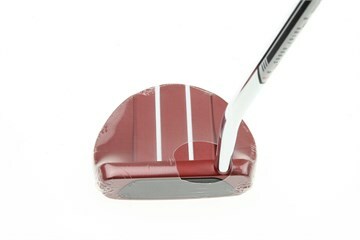 The Ardmore model is face balanced for a straight back and through stroke and features a full shaft offset. 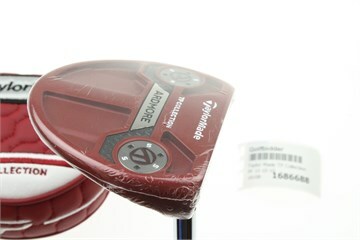 The TP Ardmore Red Collection incorporates TaylorMade's striking Tour Red finish into a long, modern-shaped mallet design. 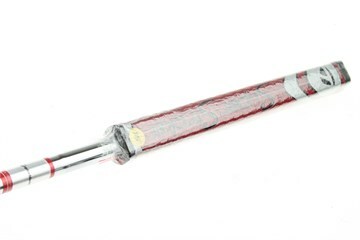 Featuring an expansive array of shaft, sightline, and hosel options to choose from, TP Ardmore Red provides golfers with added stability, a variety of alignment aids, and club specs that can be personalized for any stroke. With clean aesthetics, adjustable sole weights, and TaylorMade's Pure Roll insert, the TP Ardmore Red will inspire confidence on the green for all players. PURE ROLL™ INSERT: The Pure Roll™ insert combines 45° grooves with a softer polymer to increase topspin and improve forward roll across varying surfaces - helping your ball start and stay on its intended line.